It is officially spring, even though it is snowy in some parts of the US. Sorry friends! 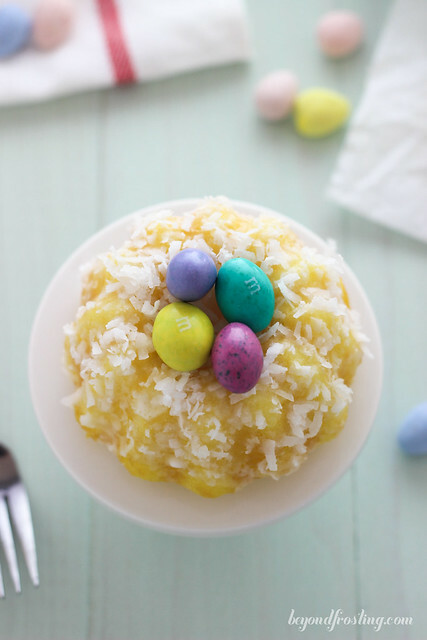 As Easter is getting closer, it reminds me how fast time is flying by! Normally we celebrate Easter on the mountain, but this year it is so warm, I am not even sure the mountain will still be open! 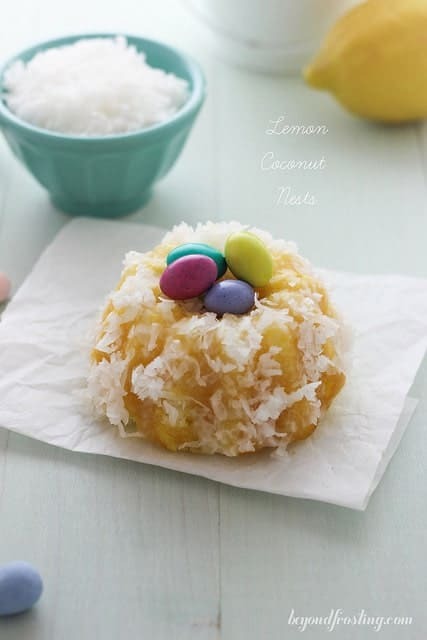 I thought we should welcome Spring with these Mini Lemon Coconut Bundt Cakes. 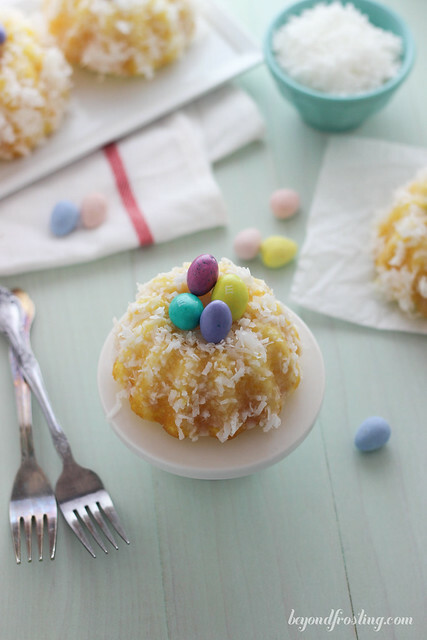 When I first thought about these mini cakes, I immediately thought they look like little nests, so I filled them with some colorful candy eggs. I was never a fan of lemon cake until I worked in a bakery in high school. People went crazy for their famous “Lemon LuLu Cake” . It was absolutely delightful with a scoop of vanilla ice cream. 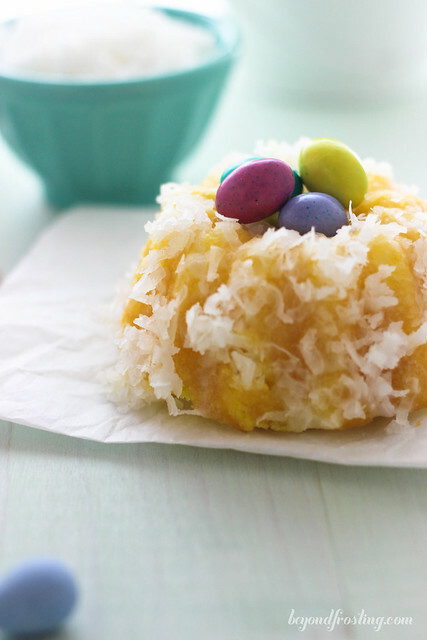 Truth be told, those are peanut butter MnMs in my nest, only because I can’t resist a peanut butter MnM. However, the peanut butter flavor isn’t exactly a compliment to the cake. So you might want to consider Cadbury Mini Eggs or maybe some Robins Malt Eggs. These mini bundts can be as big or as small as you want. It all depends on how much batter you fill the pans with. If you fill them half way, you will get smaller cakes. If you fill them 2/3 full, then they will be larger. The cakes in these photos are filled 2/3 of the way full. The cake does swell up above the top of the pan, which actually works for the cakes. The secret to getting these to release from the pan is to be sure it well greased and floured. Use your finger to get into the nooks and crannies with the Crisco. When the cakes come out of the pan, allow them to cool for about 15 minutes, and then take a toothpick and gently run it around the center of the cake and the edges of the pan. This just helps to get things loosened up! I used my Wilton Bundt pan for these cakes. It only hold six cakes, so it can take a little longer to bake a whole batch. 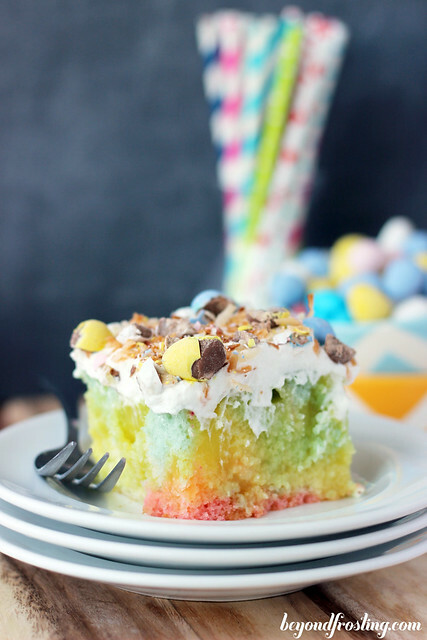 I recently purchased a second pan because I will be making these cakes for an upcoming event! 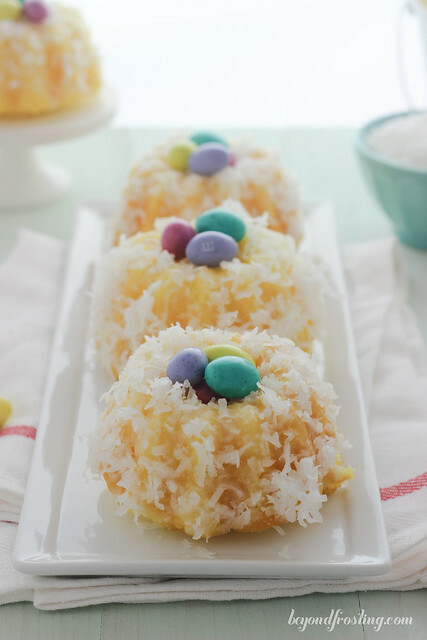 The Coconut Lemon Bundts are glazed with a vanilla glaze. 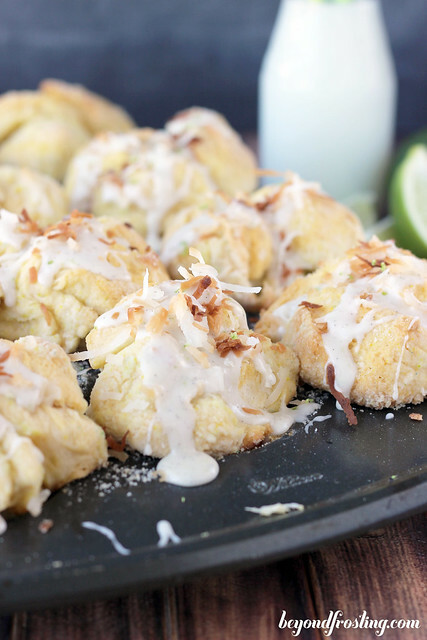 If you prefer a lemon flavor, you just need to add some lemon zest to the glaze. The key to making a smooth glaze is to sift the powdered sugar, which helps break up all the clumps! 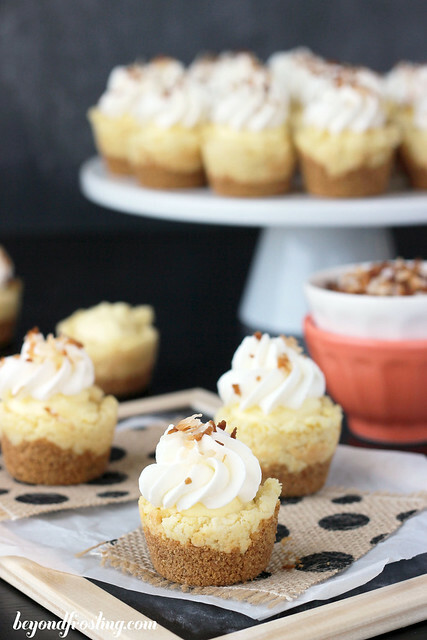 I like to invert the cakes and dip them in the glaze, that way I know I got the whole thing! I let it hang upside down and drip off any excess glaze. 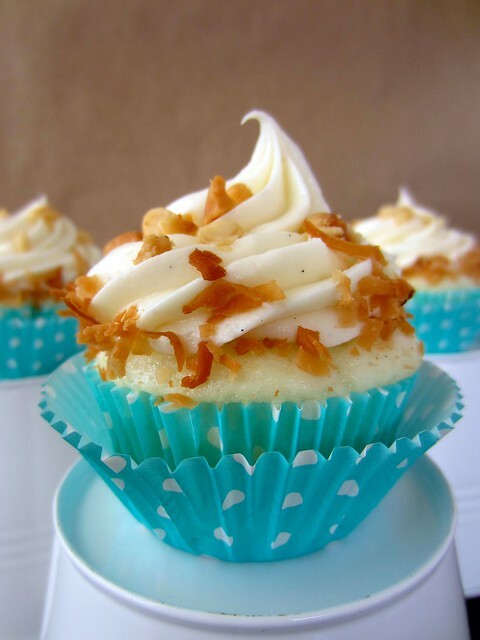 Then I flip them over and immediately cover them with coconut. Just gently pat the coconut around the outside! 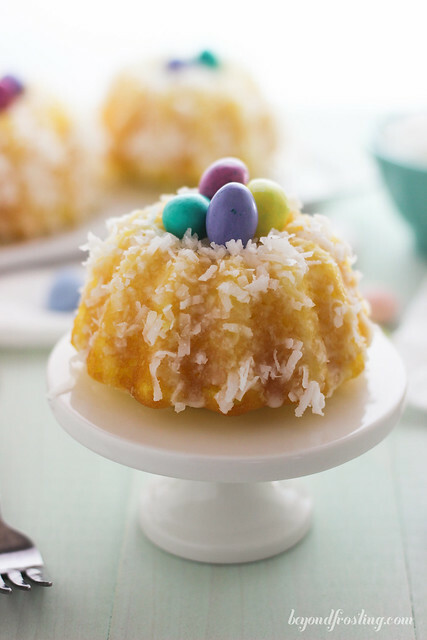 These Mini Lemon Coconut Bundt cakes would make a super cute dessert or center piece for your Easter celebrations! Preheat oven to 350°F . Grease and flour a mini bundt pan. 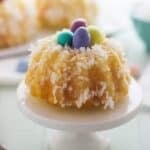 In a mixing bowl, combine lemon cake mix, instant lemon pudding mix, egg whites, buttermilk, vegetable oil, sour cream and lemon juice and zest. Beat on medium speed until well mix. Turn the batter over from bottom to top to be sure it is all mixed. Fill each bundt about 2/3 full. Bake at 350°F for 18-22 minutes. You will need to check this frequently toward the end. Baking time will vary completely based on how full they are with batter. Allow bundts to cool for 10-15 minutes before attempting to flip over. To loosen, take a toothpick and gently poke around the middle and edges of the cake. To prepare the glaze, sift the powder sugar into a medium sized bowl. Add vanilla extract. Pour milk over powdered sugar one tablespoon at a time, whisking until desired consistency. For a thick glaze, you may only need 2 tablespoons of milk. To coat the bundt, either invert and dip into the glaze or use a spoon to pour the glaze over the bundt cakes. I suggest to use a wire rack and a pan to drip off excess glaze. 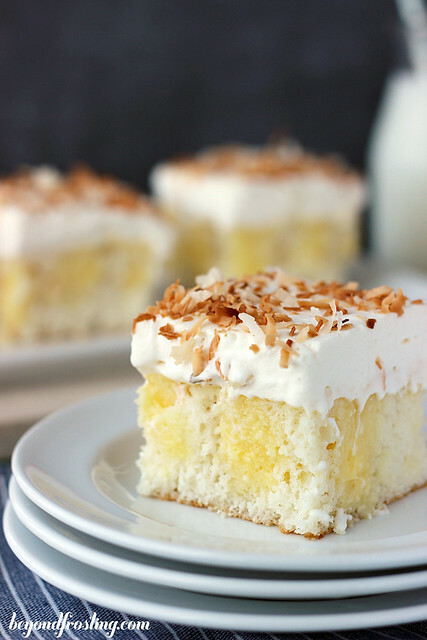 Before the glaze is set, use you hands to pat the coconut around the cake. You could get more cakes if you only filled them halfway. This post does contain affiliate links. That means if you purchase something from this post, I earn a small commission. The money earned from affiliate links helps support the cost of running this blog. Thanks for your support! Hi Deborah! I got them at Macys. They are part of the Martha Stewart Collection!